Spring is all about new beginnings. Tomorrow marks a change of season, and we can already feel it in the air. We’re excited about the warmer weather, blooming flowers, and pretty colors of spring! This weekend we have seven tips to help you bring spring colors, scents, and feelings into your home. Get a great doormat. 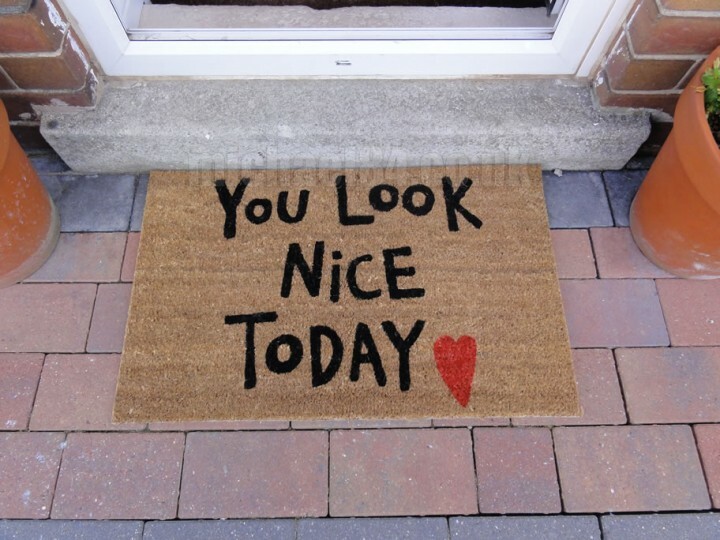 The doormat is something you’ll see every time you come home — go with something funny or have it set the mood. A spring doormat doesn’t have to be as thick as your winter one, so pick one with a nice picture or pattern on it. Buy fresh flowers. Nothing can replace the scent and beauty of fresh flowers in the home. Get a wreath for the front door, fill a vase on the coffee table, or float some in a bowl in the bathroom. Light some flowery candles. 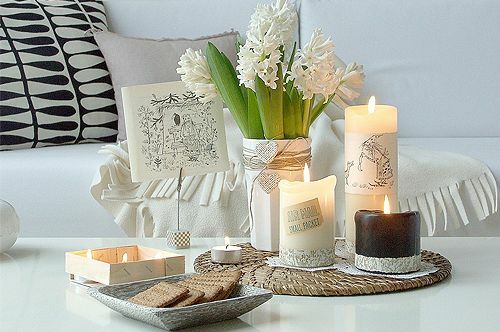 If you don’t want to buy fresh flowers, candles are a great alternative (or supplement!) Wouldn’t you love to be smelling roses right now? Find new placemats. Placemats are easy and inexpensive to swap out, and they give your dining experience a whole new feel. Go for a bold color, or keep it mellow with a floral pastel pattern. Switch out the bedding. Go shopping for a new set of sheets to keep things fresh. It’s also a great time to start thinking about a more lightweight comforter for the summertime. As a final touch, throw on some pretty light-colored satin pillows. Hide clutter in pretty storage boxes. Cross off spring decorating and spring cleaning at the same time. Buy some nice-looking boxes or baskets for all those loose items around the house. It’ll help keep the room organized down the road, too. Swap wool blankets with colorful throws. Don’t leave your heavy winter blankets out all summer long. Put them in storage as soon as it’s warm enough, and replace them with a cooler alternative. Comment with your favorite tip!